TaylorMade's TP5 ball is now offered with visual technology on the cover. Equipment trivia question: What’s TaylorMade’s fastest growing segment in the golf ball category? It isn’t something you’d find on the PGA Tour at the moment. That would be non-white products like the yellow Project (a) and matte orange and yellow Project (s). More than ever before, recreational golfers are embracing color when it comes to the ball. While most golfers choose a non-white option because it’s easier to see in flight or nestled in a thick patch of rough, TaylorMade partnered with Indiana University — who also worked with the company on Spider X — to see if there was a better way to produce visual technology on the golf ball. Through the research project, TaylorMade came up with a cover pattern called Pix, which is derived from pixelated, for the TP5 golf ball. The two-tone color design on the new TP5 Pix features two colors (yellow and red) within 12 evenly-spaced, X-shaped logos designed to amplify visibility. The pattern also makes it possible to pick up on side spin generated around and on the putting surface. As for why TaylorMade chose a dark red and light yellow for the pattern, it comes down to how the human eye processes light. According to the company, lighter colors can be processed more efficiently when it’s darker and darker colors when it’s lighter. In other words, the pattern makes it easier to pick up on the ball regardless of the time of day. 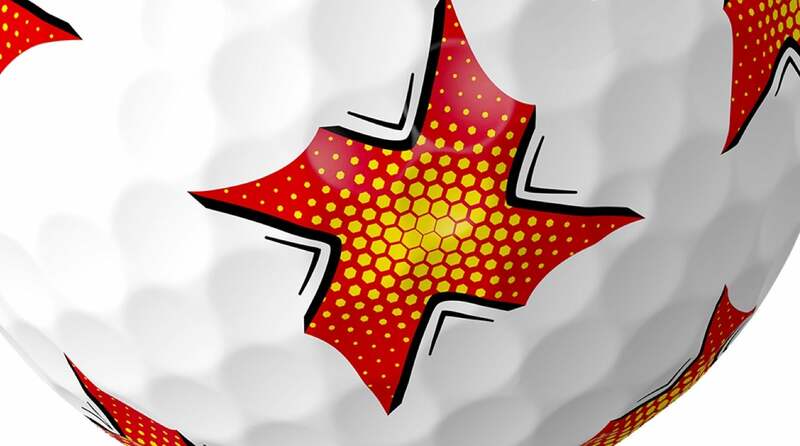 An up-close look at the unique pattern on the TP5 Pix ball. The X-shape on the ball is produced using a unique printing machine that took more than 18 months to design and develop. To curb wear and smearing of the Pix graphics, engineers utilized the same under coating printing process the TaylorMade logo and TP5 side stamp undergo to improve durability and performance. TaylorMade is the latest company to release a high-visibility version of its flagship golf ball product. Callaway unveiled Chrome Soft with Truvis Technology in 2015, while Titleist recently launched a yellow version of Pro V1 (currently played by Bubba Watson) earlier this year. The technology behind TP5 Pix remains the same as the retail 2019 TP5. The Tri-Fast core is made up of three elements including a low-compression inner core, outer core and mantle layer that become progressively stiffer as they shift away from the inner core to reduce drag and increase carry. A redesigned cast urethane cover blends a softer outer layer with a 30 percent more rigid inner layer, allowing the wedge grooves to grip the cover more effectively for increased spin and control. A new high-flex material (HFM) and four increasingly stiff layers combine to generate more ball speed and rebound when compressed. 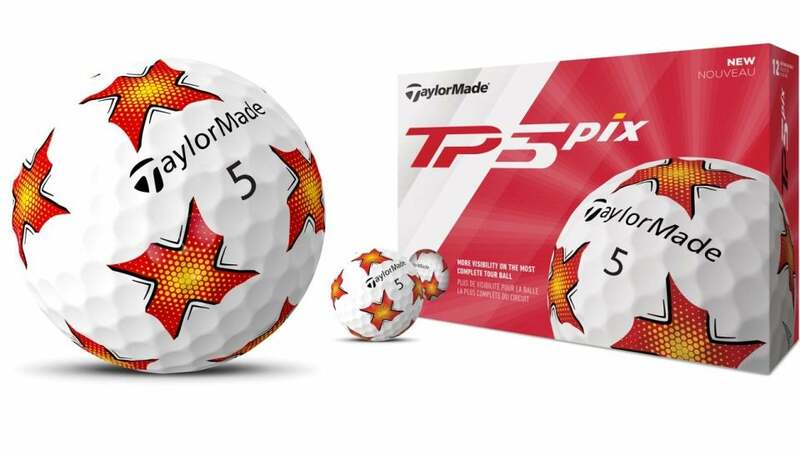 TaylorMade’s TP5 Pix will be available March 22 for $45 per dozen. Pix is not currently offered in TP5x.